A public bat walk...without all the walking. 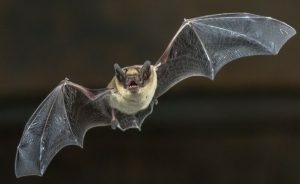 Urban Bat Project - Investigating the movements of bats in the urban fringe. Morgan Hughes discusses her PhD study investigating the assemblages and movements of non-ubiquitous bats in the urban fringe. The study hopes to shed light on how species which are not adapted to urban environments are surviving in green belt areas and what features of the suburban landscape are important to them. Figs, Fish, Flowers & Flies. Matthew Terry presents another of his fascinating and wry talks, this time on the incredibly wide range of food sources exploited by bats, and the unique adaptations that have evolved between food and bat.